When renovating a tired bathroom, there is a lot to consider to get the result you’re after. Have a look at our 14 tips for your successful bathroom renovation. You can also get your own printable copy of the Bathroom Design Guidelines for free. Critically examine your current bathroom/ensuite. List all the things you like, list all the things you dislike. 2. Does your bathroom layout work? Does your current layout work, if it does, this can be a cost-effective advantage as it reduces costs on moving plumbing and electricals? However, if it doesn’t, change it to ensure it meets your needs, otherwise the entire exercise will be a waste of money. My biggest pet hate is having the toilet on display as you walk into room or down the hall List all your needs and wants in order of importance. b. 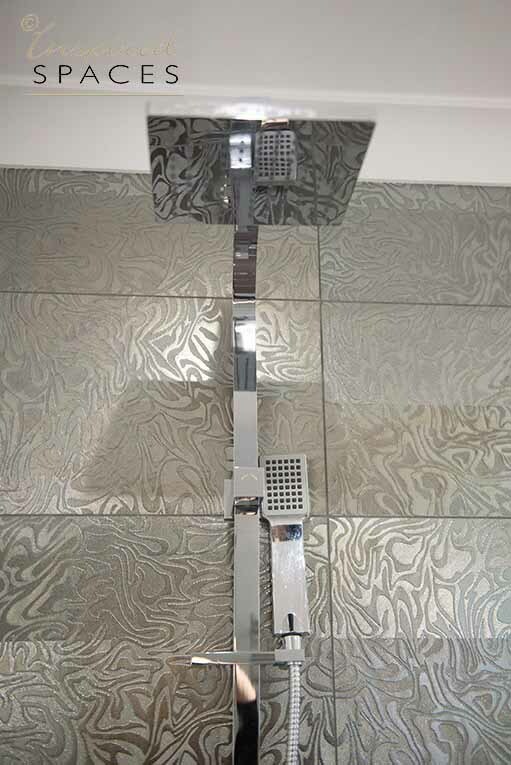 If budget tight maybe consider a semi-frameless shower rather than frameless, can save up to $1000 if you do this. Don’t be scared to mix materials. Laminates are not the poor cousin anymore and come in some wonderful textures. If having a rain shower, make sure you include a hand held one as well, for the days you do not wish to wet your hair and an added advantage of making it easier to clean the shower. a. 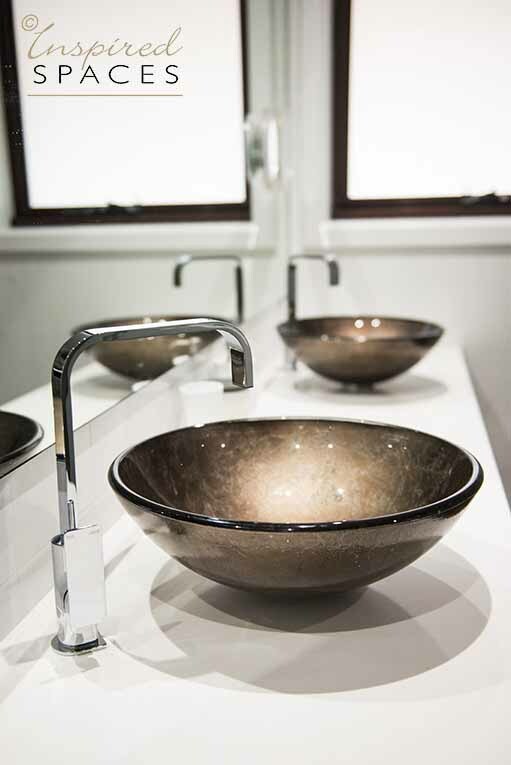 If you are doing a large renovation or new build that requires DA or compliancing approval, look carefully at the WELS rating of tap ware and toilets and ensure you comply. Have a look at our checklist for DA or complying development approval. Free standing baths are a beautiful feature, however carefully consider the users of the space as they are very difficult to get in and out of, so not suitable for the elderly or those with a disability. Also a nightmare for those who wish to bathe toddlers in a bath. 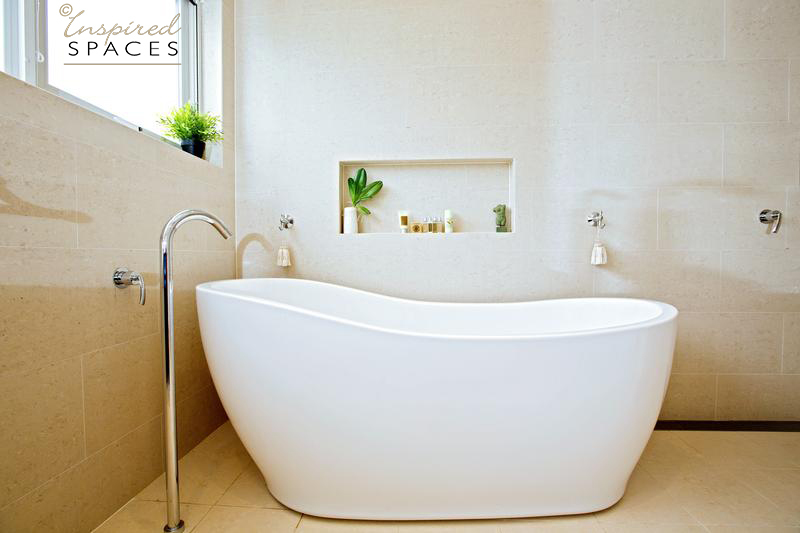 For inspirations on your next bathroom, have a look at our Bathroom Design Ideas. 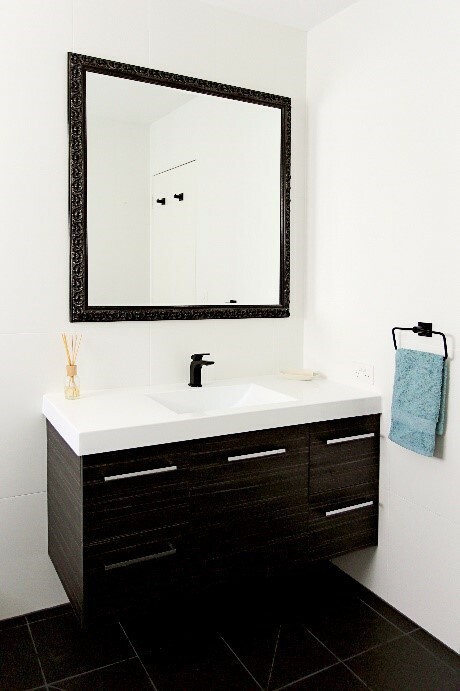 If you are having an above counter vanity bowl, check the height of the tap/mixer if it is being installed on the bench to ensure it fits over the vanity. If you’re uncertain about the height of your vanity, check out the typical measurements used in Australian Bathrooms. b. The smaller the tile, the more grout required and it can have the effect of making a room appear smaller. However, if slipping is an issue for a disabled or frail user, this extra grout can assist with slip resistance. Carefully assess door swings for both entry to bathroom and showers, make sure they will not hit each other. When comparing quotes ensure you are comparing apples with apples. If there is several thousand dollars discrepancy between quotes establish why. It may mean the cheaper quote does not add increased support in extra wide drawers, hinges my be inferior, sides of drawers may not be metal. Nothing is a deal breaker, just be aware so you are not disappointed. Download our free builder’s comparison template to assist you with this process. The team at Inspired Spaces can reduce the stress and anxiety when creating your new kitchen by providing detailed plans, elevations and schedules as well as a scope of works for all trades involved in creating your dream bathroom. Plans includes a demolition plan, 3D drawings and details such as door profiles, position of handles, tapware, sink, lighting etc.